Hi Everyone! 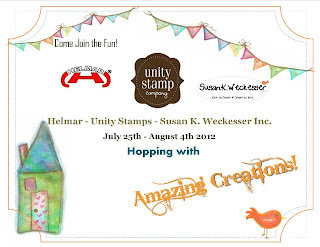 Have you heard about the Unity Stamp Co. + Helmar + Susan K. Weckesser week? 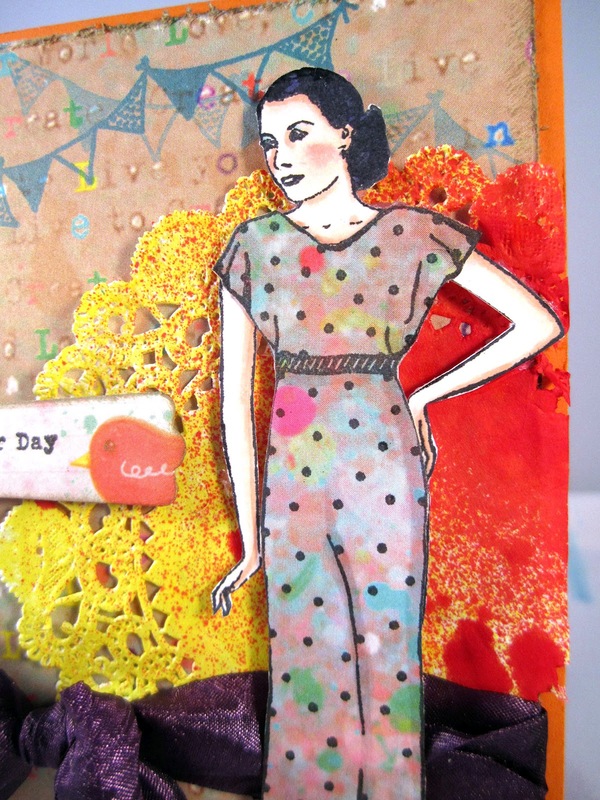 I am just in LOVE with the new Susan K. Weckesser stamps at Unity Stamp Co.! They are so whimsical and fun. As soon as I got the set Poised & Pretty, I couldn't WAIT to color that beautiful vintage girl and paper piece some pretty dresses on her! Here is a sneak peek of my card....for the full reveal and details on what I used to make my card, please hop on over to Helmar's Blog! And for even MORE inspiration, be sure to check out the Unity Blog! 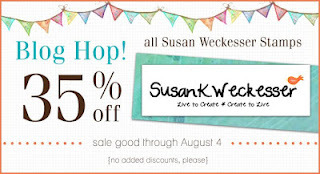 Also, all Susan K Weckesser stamps are 35% off until Aug 4 at Unity Stamp Co! Carisa, I love your card! I am posting one very similar in a few days. LOL! Great minds think alike!